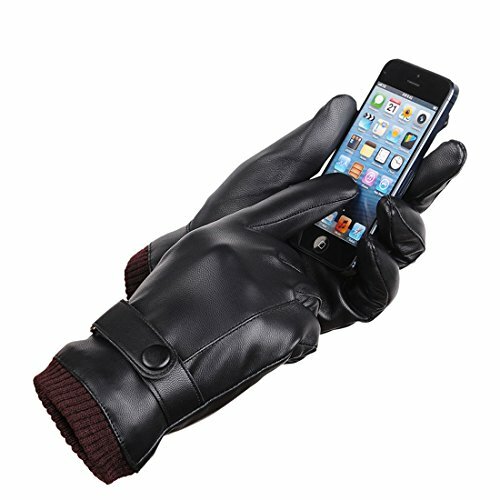 These fashion touch screen gloves are an essential accessory for man and boy. They feel smooth to the touch on the outside and are very fashionable. 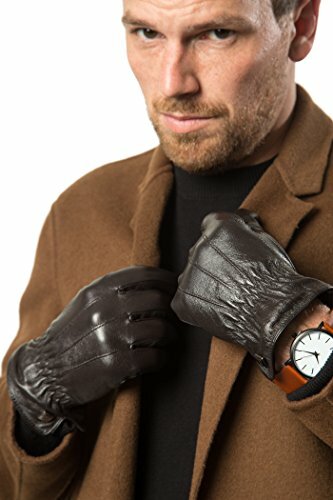 They keep your hands warm but yet still give you the capability to be able to use your touch screen phone or tablet without having to take the gloves off.About the product:This gloves fashionable and special. Delicate sewing workmanship, durable in use. 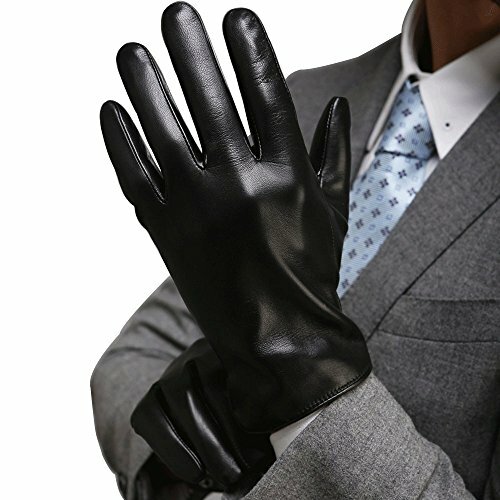 The gloves is a best gift to your husband, father, son, boyfriends, etc. 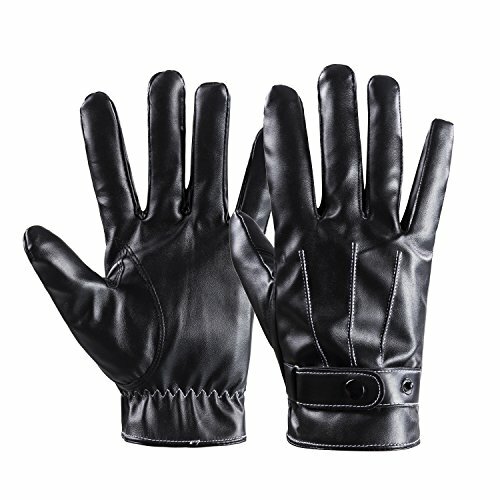 One size fits most people, size: 4 inches(total), 9 inches(middle finger)Fabric: Mainly adopt the high-quality PU faux leather, and the Lining inside makes this glove more comfortable and warm.This pair of glove is delicately designed with the windproof, skidproof and touchscreen function.Proportional sizing for people's palm width and finger length. 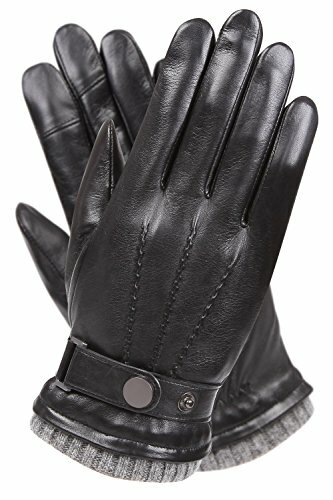 Stretchable, durable, soft and breathable.Tips: Care: Please keep them at cool, well-ventilated place to prevent mildew, avoid them from touching sharp objects, prevent them from exposure to the sun.Leather clean: If they are of some dirt, use fine gauze to wipe, or use special leather cleaning to clean. Don't clean them with acidic or alkaline liquid. Step out in style, comfort and warmth all while being able to use your touchscreen. 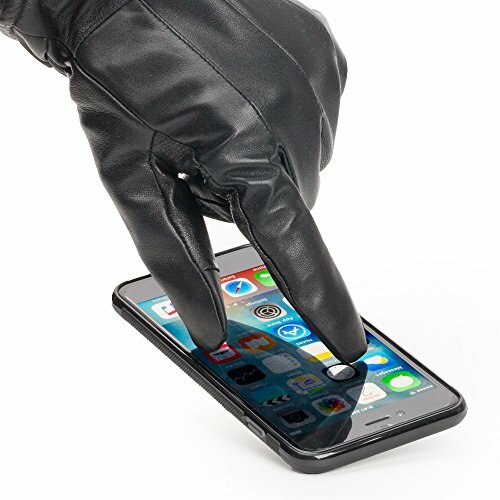 These gloves have built in touchscreen capability allowing you to use your phone or any touchscreen as normal. Ideal for GPS devices, iPads, tablets, ATMs, and any touchscreen smartphones. 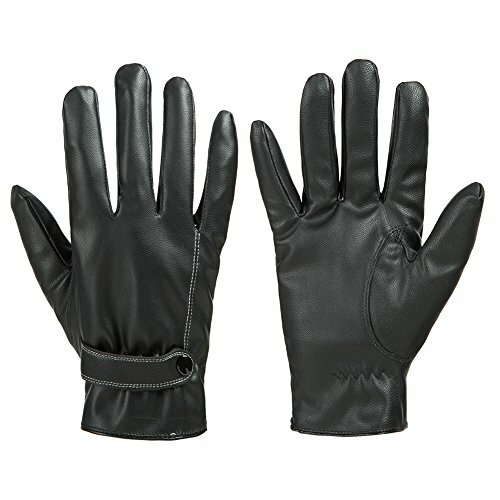 The inside is lined with a soft, warm, luxurious plush lining to keep your hands warm. Cotton wrist warmers, keep your wrists warm while retaining the heat. 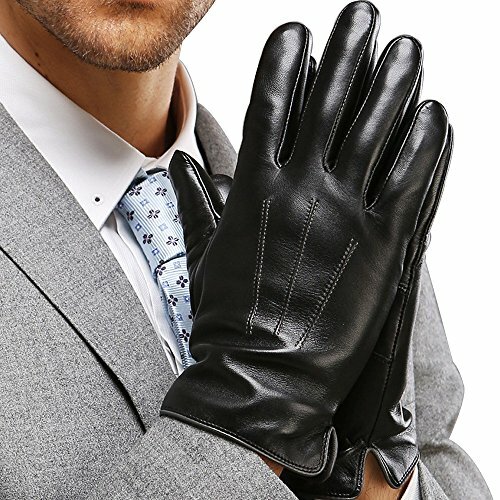 These luxury leather gloves make a great gift for any man in your life. About us: We have ourselves' factory to produce, all pictures are for real goods. we always try our best to offer our customers with the great quality of products and keep improving our customer service. - - - - - - - - - - - - - - - - - - - - - - - - - - - - Product Features: Material: 65% PU, 35% wool Design: Touchscreen and Fleece Lined Style: Outdoor / Casual Color: Black - - - - - - - - - - - - - - - - - - - - - - - - - - - - Package including: 1 * Touchscreen Gloves - - - - - - - - - - - - - - - - - - - - - - - - - - - - Comment: If you are happy with this product,please spare some time to give us five stars. Any problem, please do not hesitate to contact us, we will do our best to serve you.wish you have a nice shopping.Thank you! 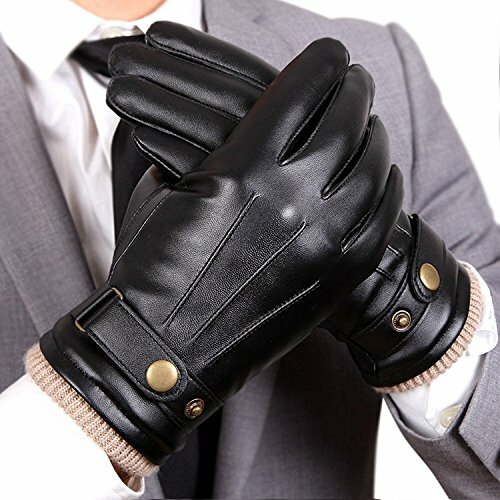 Compare prices on Touch Screen Leather Gloves Men at ShoppinGent.com – use promo codes and coupons for best offers and deals. Start smart buying with ShoppinGent.com right now and choose your golden price on every purchase.